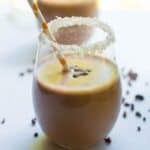 Chocolate almond butter smoothie recipe – a delicious dairy free chocolate smoothie made with cacao powder, almond milk, almond butter and chia seeds. 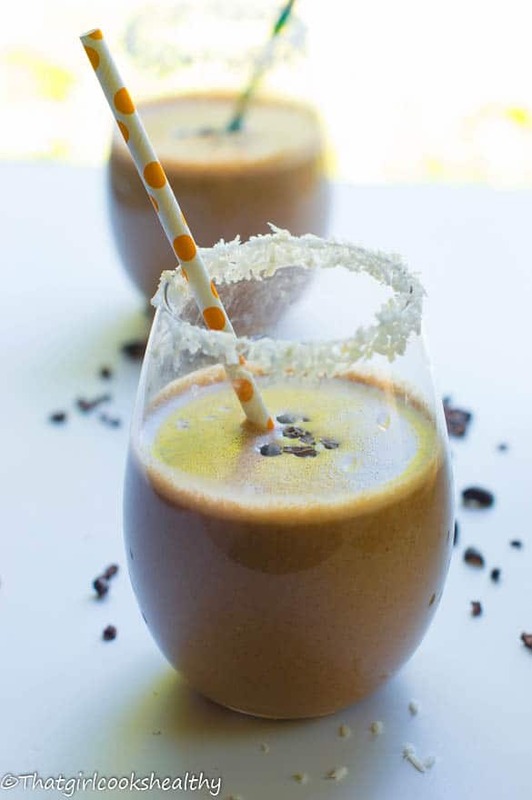 I just had to drop this chocolate almond butter smoothie recipe very quickly because if you’re a huge fan of chocolate the way I am, then you’re in the right place at the right time with this recipe so take a seat. 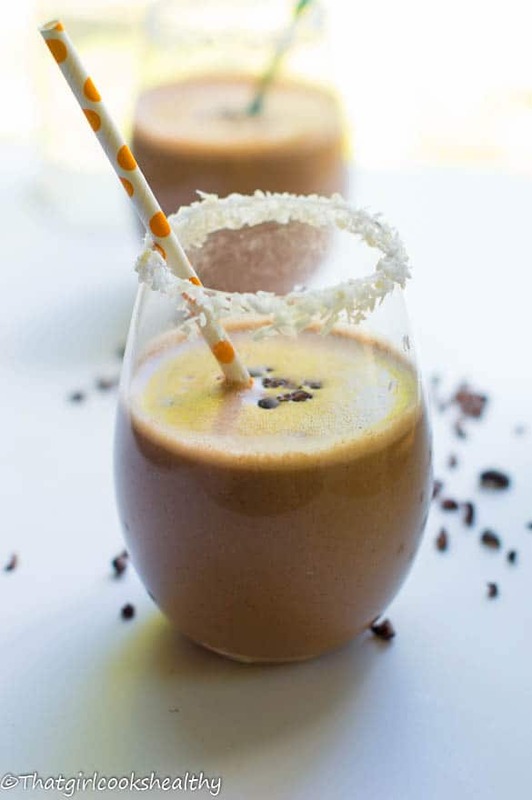 This chocolate almond butter smoothie is such a delight that I have to gulp this down at least once a week, I especially like to mix in some high quality protein powder and turn this chocolately smoothie into the perfect recovery formula. If you’re a health enthusiast or gym rat then I recommend bulking it up with your favourite protein powder. I’m a hemp girl myself, as its good source of amino acids and lactose friendly. I paired this with almond milk which is a little different to what I usually do, if you follow my blog you’d know I’m quite partial to coconut milk, but the almond milk taste incredibly awesome, very rich, creamy and most importantly homemade. 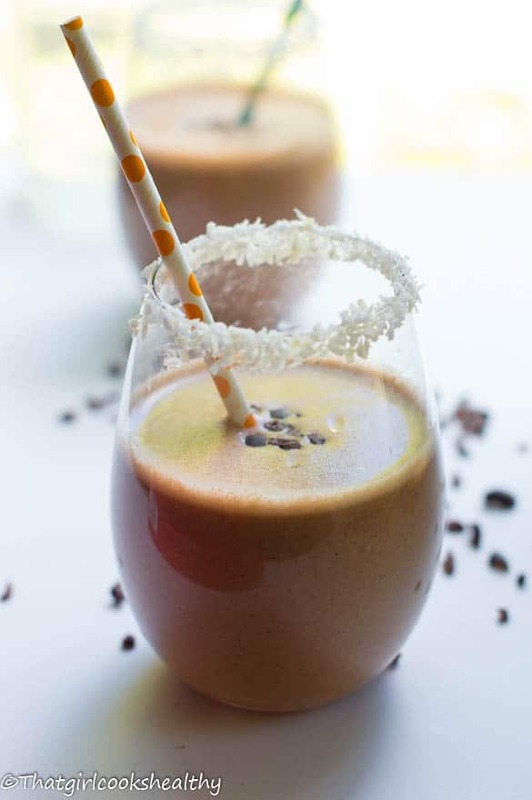 The sweetness derives from the frozen banana which gives the beverage a lovely bit of thickness might I add – a nice chocolately thickie!